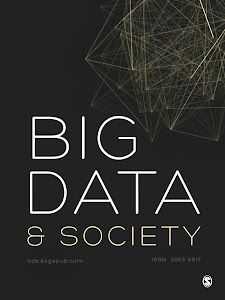 Welcome to Big Data & Society: Critical Interdisciplinary Inquiries, the official blog for a new SAGE journal to be launched in 2014. In this space we will provide background information about the Journal and its development and updates on the launch of its HomePage, ContentPage and First Volume. For these and other updates, follow us on Twitter: @BigDataSoc.